Isn't this fun? 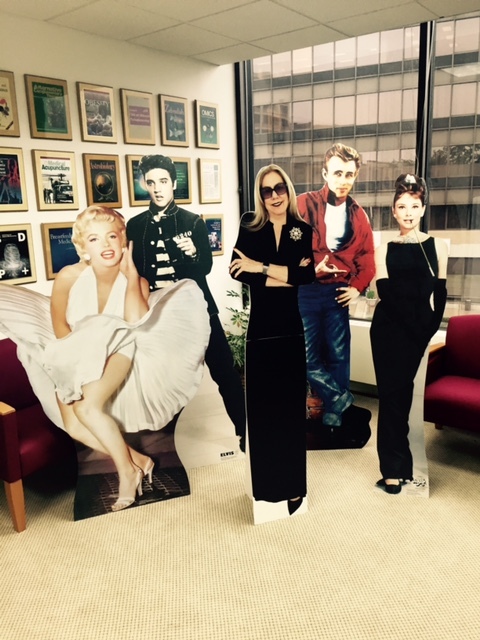 In June, our wonderful staff planned a terrific party for our international sales representatives and surprised me with some very unexpected guests! Our corporate culture is so special—I encourage you to visit if you are in the New York area. 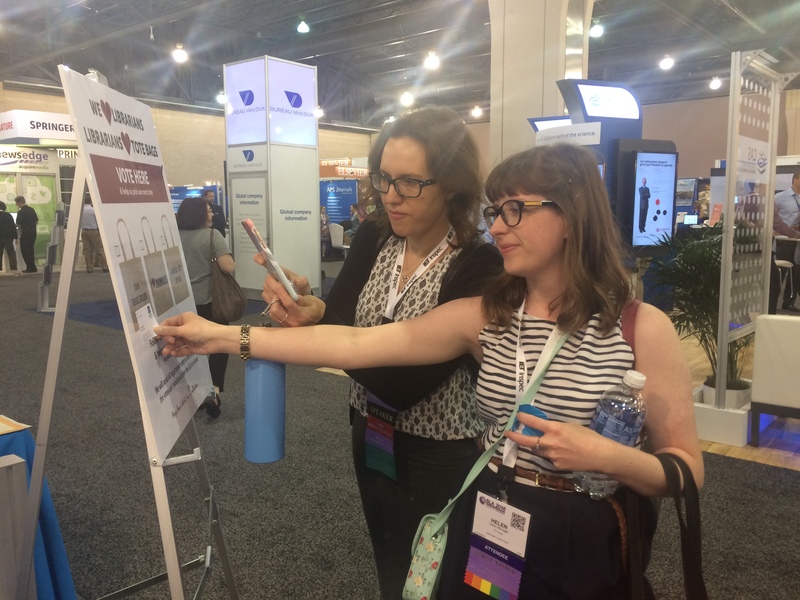 News about important new publications, such as Health Equity, are in this issue of Liebert Link, as well as up-to-date information about new editors of well-established journals. On my soapbox, I want to remind you about the importance of adding Violence and Gender to your collection. It is critical to understand the impact of gender on the growing epidemic of violence, which is a threat to public health! A subscription should be an imperative. Access to Election Law Journal is also imperative for every political science professor and students, now more than ever before. We’re so proud of these publications. There is a Mary Ann Liebert at Mary Ann Liebert, Inc., and that makes a difference… I hope you agree! Your 2017 renewal invoice will be arriving soon. In addition to renewing your subscriptions early and securing uninterrupted access for your users, you also have an opportunity to enhance your collection with new or complementary journals at a discounted rate. Your account representative is ready to help you renew, learn about additional titles relevant to your collection, and to advise you of special offers and discounts. Mid-June is always an exciting time in the halls of Mary Ann Liebert, Inc., as that is when the Impact Factors are announced. 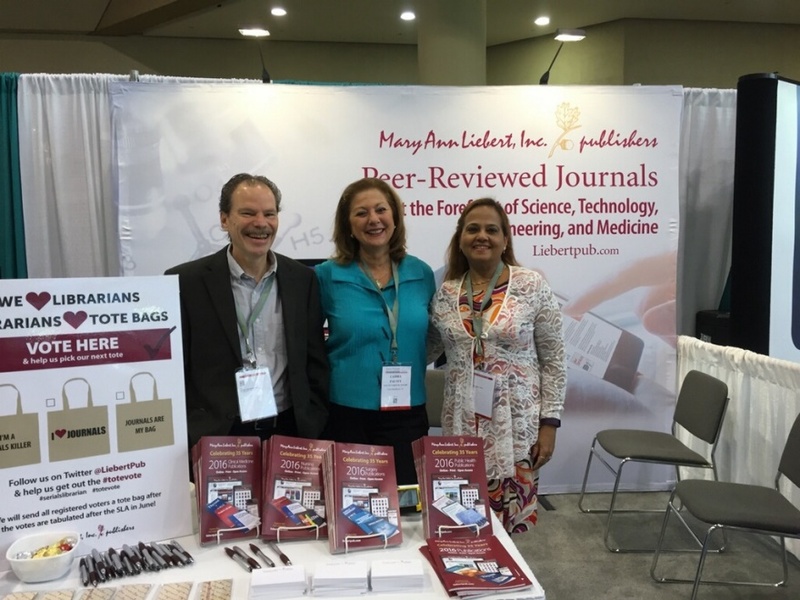 Once again, this year’s announcement was cause for celebration — more than 60% of our portfolio of previously indexed journals received increased impact factors, with 17 titles seeing double-digit percentage increases! Of particular note are the increases and continued impact of Journal of Neurotrauma with an 18% increase, Journal of Endourology with a 23% increase, DNA and Cell Biology with a 25% increase, and Environmental Engineering Science with a 49% increase. Seven journals received first impact factors this year, including Soft Robotics with an astounding first impact factor of 6.130, and LGBT Health with a first impact factor of 2.261. Are these high-impact titles in your collection? If not, be sure to add them today. 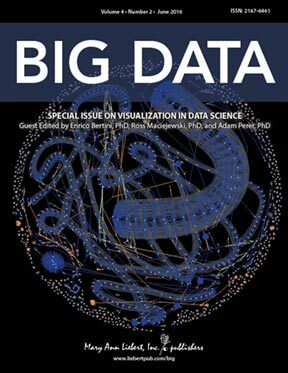 We are delighted that Big Data is now indexed in MEDLINE/PubMed. This is another “feather in the cap” for this rapidly growing journal, which in March was also accepted for inclusion in Thomson Reuters Web of Science™ Science Citation Index Expanded (SciSearch) and Journal Citation Reports/Science Edition. In June, it also received its first Impact Factor of 1.696, further testament to the Journal’s position as the premier source for world-class research exploring the challenges and opportunities in collecting, analyzing, and disseminating vast amounts of data. Contact us for more information about Big Data. 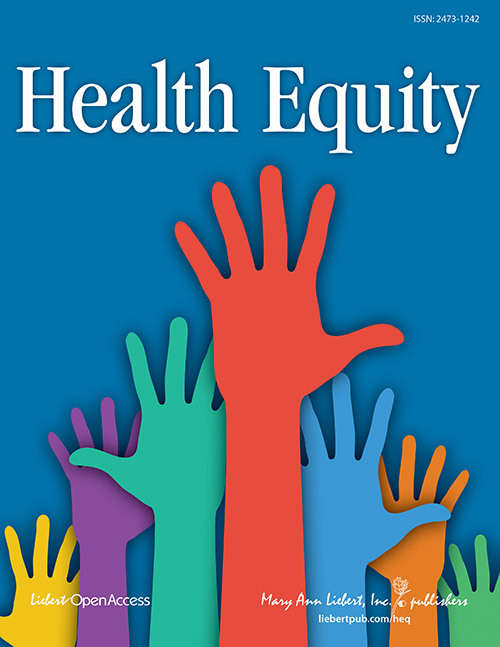 We are pleased to announce the launch of Health Equity, a new peer-reviewed open access journal that will address the urgent need for authoritative information about health disparities and health equity among vulnerable populations. Content will range from translational research to prevention, diagnosis, treatment, and management of disease and illness toward the goal of optimal outcomes and ultimately health equity for all. Health Equity is being launched with a grant from the W.K. Kellogg Foundation to ensure that it is accessible as widely as possible and to provide a framework for achieving health equity for children, families, and communities by reducing and ultimately eliminating disparities in health and its social, economic, and environmental determinants. Click here to sign up for free Health Equity email alerts. Prof. Annemieke Aartsma-Rus, Nucleic Acid Therapeutics new Co-Editor-in-Chief, holds a chair in translational genetics at the Leiden University Medical Center (the Netherlands) and is one of the pioneers of the exon skipping approach for Duchenne muscular dystrophy. In 2011 she received the Duchenne Award from the Dutch Duchenne Parent Project in recognition of this work and her dedication to the Duchenne field. She is a member of the board of directors of the Oligonucleotide Therapeutics Society. Dr. Benjamin Honigman, Professor and Founding Chair of Emergency Medicine and Associate Dean for Clinical Outreach at University of Colorado School of Medicine, has been appointed Deputy Editor of High Altitude Medicine & Biology. Dr. Honigman graduated from Tufts Medical School and completed his residency in emergency medicine at Denver General Hospital in 1979. Prior to joining the University of Colorado School of Medicine, he was the Editor-in-Chief at Micromedex developing the EMERGINDEX system. John Weeks has been appointed Editor-in-Chief of The Journal of Alternative and Complementary Medicine. Mr. Weeks is a writer, speaker, organizer, consultant, and executive with three decades of experience in the movement for integrative health and medicine including most recently as the co-founder and for 8 years the director of the Academic Collaborative for Integrative Health. His work is at the convergence of that historic trend and the medical industry’s engagement of a values-based focus on creating health. Can Anti-Inflammatory Therapies Be Effective Against Epilepsy? 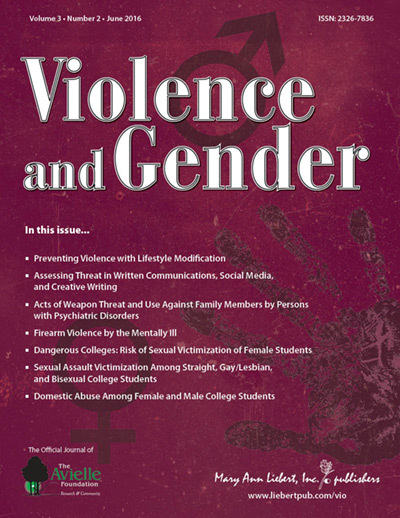 A critical resource for all institutions, Violence and Gender is the first and only peer-reviewed journal focusing on the understanding, prediction, and prevention of acts of violence. The Journal is the international forum for the critical examination of biological, genetic, behavioral, psychological, racial, ethnic, and cultural factors as they relate to the gender of perpetrators of violence. Through peer-reviewed research, roundtable discussions, case studies, and other original content, Violence and Gender explores the difficult issues that are vital to threat assessment and prevention of the epidemic of violence. Contact us to learn more about adding Violence and Gender to your collection. Our sales and marketing teams have been on the move collecting #ToteVotes and meeting with as many customers as possible during the peak of conference season. 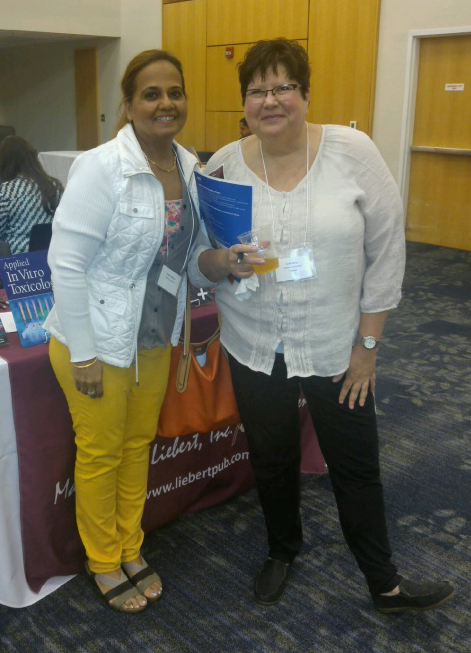 If you see us at a conference or meeting, please stop by and say hello — maybe you’ll be in the next issue of Liebert Link! 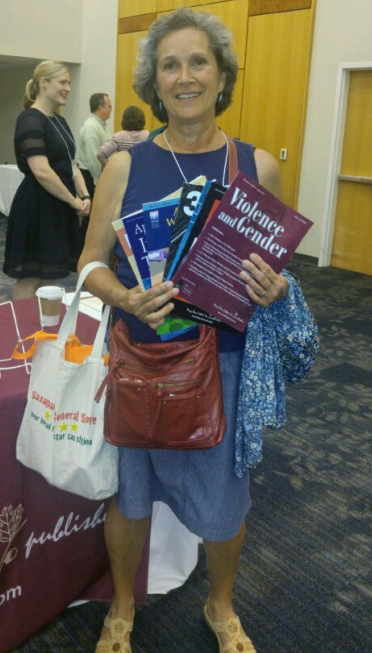 Diane Ford, Elon University, showing off her Mary Ann Liebert, Inc. favorites!